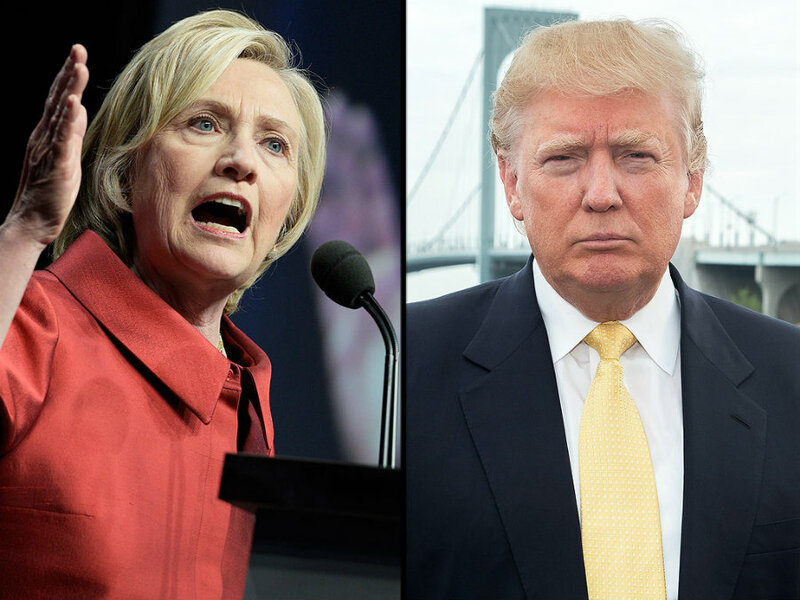 Hillary Clinton and Donald J. Trump, favorite presidential candidates, addressed the terrorism problem that has managed to filter North American soil. The two candidates have talked about it before, and they radically differ from each other. While Trump is promoting a radical exclusion of all Islam practitioners, Clinton said there was no gain in picking on an innocent and peaceful community referring to Muslims. However, she did use a term that Trump had been taunting her with, “radical Islamism”. The Democratic Party has been avoiding to use it because they say it puts all Muslims as the enemy which is the primary tool of recruitment used by ISIS. Donald Trump gave a longer than usual speech, but he did not separate from the radical statements that established his policy against immigrants. He has repeatedly said in the past that the current immigration law is giving access to a lot of dangerous people. On the other side of the coin, there is Hillary Clinton. She gave her condolences to the victims of the shooting and condemned the attack, but she did not blame the whole Muslim community of being terrorists. She continued to endorse the Democrat approach which is inclusion. She said that by alienating the citizens of the United States against a particular group of people based on their religion would only give more tools for the terrorists to recruit young men and women. However, she did use the word “radical Islamism”. Even the President, Barack Obama, has refrained himself from using such a term in the past because according to the Muslim community, ISIS, and similar groups are not true believers. Instead, they twisted the “sacred words” to justify their selfish ambitions. Even the President, Barack Obama, has refrained himself from using such a term in the past because according to the Muslim community, ISIS, and similar groups are not true believers. Instead, they twisted the “sacred words” to justify their selfish ambitions. “In my speech on protecting America, I spoke a temporary ban, which includes suspending immigration from nations tied to Islamic terror” posted Trump on his Twitter account. "I have no doubt we can meet this challenge — if we meet it together." There is a list of facts about the gunman that could probably affect the arguments used by both candidates. For instance, Omar Mir Seddique Mateen was born in New York which means that if there were a ban, he would have had no problem. He had been a security guard with G4S since 2007 by the time of the shootings. Therefore he had a gun permit. According to the Federal Bureau of Alcohol, Tobacco, Firearms and Explosives, days before the massacre, he bought a Glock handgun and an AR-15 rifle. Moreover, people that interacted on a regular basis with the man have said he had a very irregular personality. For instance, Daniel Gilroy, ex-coworker at G4S, said Mateen stalked him sending up to 15 text messages a day where he used racist and homophobic comments, “this guy was unhinged and unstable” Gilroy said. Also, his ex-wife, Sitora Yusufiy, said he was not normal. She told the local press that Mateen would randomly beat her over every little thing until her father “rescued” her out of the house. Even the gunman’s father said he saw his son losing his temper overseeing two men kissing. The media said Omar Mateen called 911 and expressed his support for ISIS leaders. Even some of the witnesses from the tragedy recall having heard the man shouting about his Jihadist affiliation which leads investigators to think terrorism had something to do. This theory gained strength when a terrorist group said the attack that targeted a gay nightclub in Orlando was carried out by an Islamic State fighter. However, FBI special agent Ron Hopper said the gunman may have had Jihadists leanings, but that the security agency could not confirm it yet. It seems just a matter of time, though. Omar Mateen had publicly expressed he supported radical and terrorist movements in the past which made him a person of interest for the FBI during two years. In this period, the security agency interviewed the man twice but failed to find a clear connection with terrorist groups in or outside the country. The Republicans and the Democrats have practically chosen their candidates for the presidential elections, Donald J. Trump, and Hillary Clinton respectively. They both talked about terrorism and religion, but none of them talked about how a man who had reported erratic behavior in the past and possible terrorist ties could buy guns and ammo like it was candy.